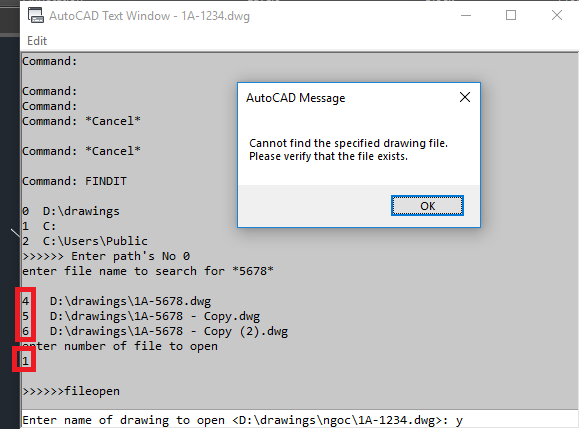 1, I need a lisp that can open drawing 1A-1234 by inputting it into a popup window of autocad and hit enter. Maybe a simple solution will work best for you. Load this super short Lisp and start it. In the “File Name” box enter any letter and press the “Find File” button. This will take you in the next dialog box. Enter the file name or just part of the file name if you prefer so. In the “Look In” put the starting folder and check the “Include subfolders”. Press the “Find now” button and wait some. 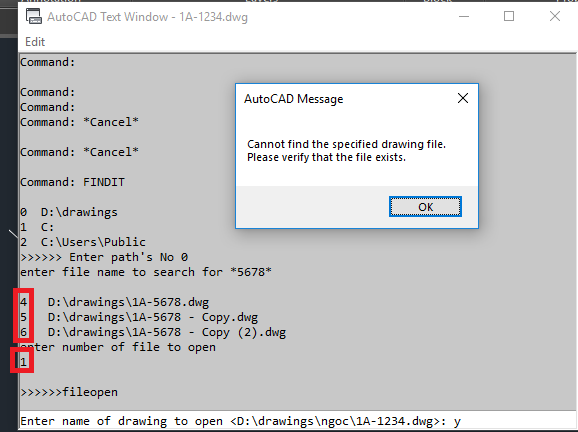 AutoCAD will answer with a list of dwg files matching the entered name. Choose the desired one, press “OK”. You will be returned to the first dialog –just press the “Open” button. Warning: the current drawing will close without saving! 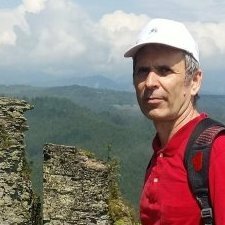 @fuccaro Thank you very much. it worked but in comparison with opening window explorer and search in it, it think it is same way, your method took many step. Fuccaro & vdungcom a couple of suggestions to narrow the search speed. The (findfile) function will only search the current AutoCAD search path if a drive/directory prefix is not supplied. Thanks BIGAL for your useful comment. I've sent my previous post in a hurry, so let me add here a few sentences. All the files that match the name (and are in the search path, of course) are listed. Enter the number of the desired file to start it. Oh, and you must replace the search path in the second line of the program. Fuccaro tried the code had a little problem with the foreach l1 lst but anyway got the dwglist to have a play. I used 2* as our dwgs all start with a year date eg 2018123. Just a suggestion you can open the list up in say lee-mac List to dcl select the name rather than asking for an item number "ListBoxV1-2.lsp" There is though a maximum limit in the list box something like 256 items. i tried your lisp, after replacing the path, it says "Cannot run FILEOPEN if SDI mode cannot be established." and i think it is better if we can select path from drop down list and we can change it whenever we want. BIGAL, I tried the code on 4 computers, I had no problems at all with the foreach loop. Vudungcom, did you try the solution I offered? If so, did it work for you? fuccaro worked it out its to do with copy and pasting from the new website it is bringing unicode with it. Put any number of paths in the list and give it a try. The path doesn't end with double back-slash! Thanks @BIGAL, it works fine now, one thing i would like to improve it is: we rarely change folder paths, so can you make it is default selection, when we need change, just input a command and change the path. it is only advance function, feel free to do it, but now it is ok for me. Thank you very much. Thank for your effort but when i input "1" or "4", it also error. please check attachment for detail.